In this post, I’ll explain how to trade options based on what I learned beginning in the 1980’s while working as a professional trader. I’ve continued to be passionate about options trading ever since those early, crazy days of oil tycoons and huge expense accounts. First, I’ll cover the basics of options trading. Next, I’ll step you through the most basic option trading strategy, covered calls. Then, I’ll give an example of how you can add layers to the simple covered call strategy to reduce risk and increase the probability of a favorable return. This will leave you with the basics you’ll need for learning how to trade options, plus a more advanced understanding of how to trade options beyond just the simple covered call strategy. At the core of all successful trading and investing, you’ll find risk management and increasing the probability of winning trades. Smart traders and investors learn how to trade options to accomplish this with less capital. Professional money managers do this, and individuals can do this, too, given the correct information and training. Keep reading, or grab my popular Options Trading Toolkit and eBook here. A stock option is a privilege that gives the buyer the right, but not the obligation, to buy or sell a stock at a specific price within a certain time frame. The advantages to options trading are many. As we all know, there’s no such thing as a free lunch. Options trading definitely comes with some disadvantages as well. Having experienced most of them since I first learned how to trade options back in the 1980’s while trading for a NYSE listed firm, I’ll outline them below. Some of the advantages of options trading are outlined below. 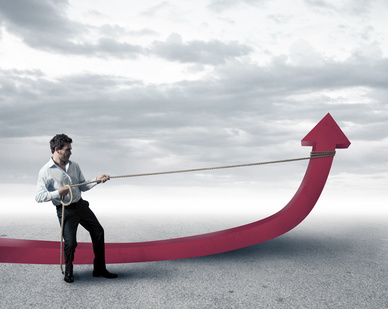 Leverage is one of the biggest advantages of stock options. Think of purchasing a $100,000 piece of real estate with leverage by making a 20% down payment of $20,000. That down payment allows you to control $100,000 worth of real estate by using only $20,000 of your capital. Similarly, options allow you to control a larger amount of securities with a smaller amount of capital than the full value of the underlying security. Just like real estate leverage, leverage from options trading can be a dual-edged sword; it must be used very carefully and wisely. This is to most important thing to understand when learning how to trade options. For this reason, a primary focus of the trading system I developed, the Power Cycle Trading™ model, is risk management. When used incorrectly, leverage can wipe out your wealth, whether that leverage is from real estate or stock options. As shown above, if you can control a set amount of securities for a fraction of the full value of those securities, you can use less of your capital. For example, you can purchase LEAPS (a type of long-term option) instead of a buying a stock outright. Let’s say the LEAPS cost $1,000 and the stock costs $5,000. If the company goes broke, you’ve lost $1,000, not $5,000. Your capital at risk was $1,000, not $5,000 in this example. This equates to less money, less risk. Ironically, options are inherently considered riskier than stock ownership. Option Strategy Alert: It’s important to note here that the value of the LEAP contract deteriorates slowly over time. 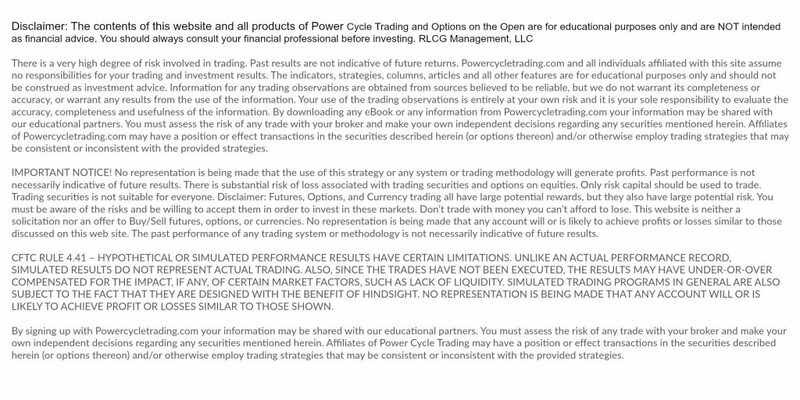 This can actually be used beneficially, however, by the educated option trader, as I teach at Power Cycle Trading™. It’s also important to note that just like the stock, however, the LEAP value can go up or down. In other words, both stocks and LEAPS have risks and opportunities. A common and simple example of using options to protect your traditional buy and hold stock portfolio is used with puts. Let’s say you’re long the stock market. Maybe you have a retirement portfolio that has grown over the years to become a comfortable nest egg. Let’s assume the stock market has been in an extended bull market for a while. You don’t want to sell your stock holdings, triggering taxes and the possibility of missing the rest of the bull move up. Yet, you’re so worried that a bear market will devastate your nest egg. This is when buying puts can act as an insurance protecting the value of your stocks. Just like insurance, however, there is a cost, but that cost can more than offset the protection you get when selling puts correctly. Plus, you can sleep better at night. What’s that worth? Some options trading strategies can be used to generate monthly or quarterly income. More and more retirees are learning how to trade options for monthly income given the paltry interest rates being received from bonds. Another common income strategy is credit spreads. This strategy is a Power Cycle Trading™ favorite since it is appropriate for both bull and bear markets. This is covered more below. Do you hate waiting out bear markets to make money, especially while watching your net worth decline? Then there’s the issue of getting into riskier, overvalued bull markets near the end of the cycle. Option strategies give traders and investors the opportunity to make money no matter which direction the overall market is moving. In trader lingo, this is called Non-directional. Let’s face it; options trading is complex. In fact, complexity is one of the disadvantages listed below. The flip side to this complexity is that fewer people are willing to learn how to trade options. This is true of financial professionals as well as individual investors. While many financial advisors would like to add covered calls to their services to provide income for their clients, few do so because it is a lot of work to sell covered calls for hundreds of clients. Not only this, but volume can be too limited for financial pros. It’s easy, however, to sell covered calls as a nimble individual investor or trader, providing a little known and rare advantage for the individual investor over Wall Street. Other options trading strategies are definitely more complex than covered calls. Credit spreads and the option butterfly are among the more complex options trading strategies taught at Power Cycle Trading™. This is because they add a built-in layer of protection in the event that the security moves in a way you had not expected. Because of all of this, those willing to learn how to trade options are at a huge advantage. Covered calls can be used inside of an IRA account. This allows an investor to defer or avoid tax on the income gained from selling the option. Since taxes can eat into an investor’s profits, this can be a huge advantage. Note that more complex options trading strategies cannot be used inside IRAs as of this writing. Some of the disadvantages of options trading are outlined below. Brokers can require a higher margin for some option strategies. This can vary among brokers. Be sure to check and make sure you have found an option friendly broker. Owning options can be like holding a ticking time bomb. This is because the value of the option decreases the closer you get to the time the option expires. For this reason, when I teach others how to trade options I tend to focus on trading strategies that buy options instead of selling them. This allows an options trader to start with a huge advantage right out of the gate. As you read above, there’s no doubt that learning how to trade options is more complex than simple stock investing. Like most things which seem complicated at first, they become simple with learning and practice. Few opportunities are easy for any length of time, or everyone would be doing them, eliminating the opportunity factor. If you’d like to see all of the most popular options trading strategies, such as the Butterfly Option strategy or Credit Spreads, along with detailed diagrams and explanations of when they work best, then be sure to grab a copy of my free option trading eBook below. One options contract represents one hundred shares of stock. A simple example can be used with covered calls. An investor buys one share of stock, and then sells 1 call option “against” the one hundred shares of stock. The stock shares are often referred to as “underlying”. The expiration date is the third Friday of the month for monthly options. For this reason, options trading volume tends to surge near this time. Now, weekly options trading is also very popular. This options strategy trades options that expire every Friday. When first learning how to trade options, "Weeklies" offer a faster learning curve. I recommend, however, that everyone begin with "paper trading" when first learning how to trade options. The strike price is the price at which the security will be bought or sold if the option contract is exercised. Strike prices are often in $1 to $5 increments, depending on the price and volume of the related, or “underlying” security. This is the sales price of the option. When you sell an option, the premium gets deposited right into your brokerage account. This is why covered calls are so popular. Risk Alert: And the reason they are also unpopular at times is that most covered call gurus don’t warn clients about this. When instructing students how to trade options at the beginner level they often fail to mention that simple covered calls alone are best for bull markets. Covered calls work best in bull markets because the value of the underlying stocks drops with the market, as explained in more detail here. Options trading is done in the same way that you buy and sell stocks in your brokerage account. You must apply to get options trading approval first. There are three levels of options trading for which you can apply. The easiest level is for covered call writing. Before you even begin learning how to trade options, ask your broker for an application, or download the options approval form. This will allow you to begin the approval process. Monthly options expire every month, although they can be exercised before expiration. More recent Weekly options, also called “Weeklies”, expire every 8 days. LEAPS are longer-term options lasting 9 to 30 months. LEAPS always expire in January. Note that options trading can be applied to day trade, swing trade over a few days or weeks, or even invest for years. A put option gives the owner the right to sell a security at a certain price on a certain (expiration) date. It’s important to remember that stock options give the right to buy or sell a security (underlying) OR they have the potential obligation to buy or sell the underlying security. It depends on whether you’re the buyer or seller. The seller is only obligated if the buyer exercises the option. What you are about to read next is very important: The overwhelming majority of options expire unexercised. This is the beauty and HUGE advantage of being an option seller over being an option buyer. This means that the option seller can sell an option, collect the option premium in her brokerage account, and nothing else happens other than the seller keeps the option income. When learning how to trade options, this is the most important concept to understand. Now that you may be wondering why you ever decided to google how to trade options, let me give you a real example that will clarify things. We’ll start with a simple options trading strategy, the “Covered Call”. This will step you into learning how to trade options without overwhelm since this is the most basic options trading strategy. The Covered Call is a longer-term strategy used mostly by longer-term investors (and a few institutions for their clients). It is the simplest options trading strategy and demonstrates both the buyer and the seller of call options easily. This strategy is really a hybrid between long-term investing and options trading as you’ll see below. Joe owns 500 shares of Income Inc stock that he bought for $40 each. He is tired of earning the tiny 2% annual dividend on this stock while tying up a lot of his capital. On September 6, he sells 5 October call options on Income Inc. with a $42.50 strike for $1.00 each. He gets $500 income deposited into his brokerage account for selling those call options, which is a pretty nice 2.5% return in 6 weeks. He notes that this is a LOT better than the 2% he earns annually in dividends! Not only this but if the option isn’t exercised, he’ll still own the stock. He’ll earn the dividends, too. Here is what this means: Joe has given the right to the buyer of the call options to buy the stock from him on the third Friday of the month (or before) at $42.50. Here’s what happened on expiration Friday. The stock went to $42. The option expired without being exercised since the value of Income Inc is less than the strike price of $42.50. Joe got to keep the stock, and he made $500 from selling the call options. He decides to sell call options again for the next month out. Bought the call options back. On the day of expiration, the price of the option would have been around .50 in this example. Remember, the price of the option declines the closer the option gets to expiration, all other things staying the same. This would have been a 1.25% return in 6 weeks, or 10.8% annualized. This sure beats the dividend rate of 2% a year, plus it’s in addition to the dividend. Note that Joe would have made money on the Time Decay, a very important options trading concept. As long as Joe owns the shares, he can then sell options for the next month. It would be smart if he first checks to see where the stock is in its shorter-term cycle on a stock chart before selling that option since it can increase his opportunity to make more income from the stock. In other words, stocks tend to move in mini-cycles within larger cycles. By selling the call option near the top of the mini cycle, Joe can make more money because the price of the call option moves in relation to the underlying stock. Cycles are best seen on stock charts. But what if the shares went to $44 on or before option the expiration date? That would be a bit of a bummer since he is obligated to sell them at $42.50. But how bad is it? We view charts as a very valuable free tool at Power Cycle Trading™. ♦ Sell the stock at the strike price of $42.50 to the option buyer. Remember, he was obligated to sell the stock at the strike price if the buyer chooses to exercise her option, which she would do if the stock price is over the strike. ♦ Joe could buy back the option and keep the stock. He would have a loss in the option, probably of about 50 cents per option contract. Note that he could probably sell another call option further out in the future to cover this small loss completely, if not turn it into a gain. But wait! Joe would lose 50 cents on the option contract (before commissions!) but he made $4 a share on the stock if he sells it, or he has an unrealized capital gain on the stock if he keeps the stock instead of selling it. Then he can sell another option with a higher $45 strike for the next month or 2, and indefinitely, raising the strike price each time if the stock keeps rising! Joe can also benefit from using some very simple technical analysis to help him maximize his returns on his investments and covered call income. This simple covered call strategy was used to give you perspective on how call options work for both the seller of options and the buyer of the options. As mentioned, covered calls are a bull market strategy. This means covered calls are best for rising markets. This is because you must use a lot of capital to buy the underlying security, the stocks, against which you sell the call options. Risk Alert: If the market enters a bear cycle while owning these stocks, the value of the stocks will drop along with the rest of the market. Once this happens, it becomes almost impossible to sell call options with a strike near your cost since the market has dropped. In this case, the covered call writer has incurred a drop in the value of her net worth, along with losing the ability to generate covered call income from the stocks she already owned. This is a double pain. At Power Cycle Trading™, I teach options trading strategies that add a layer or two of protection to simple strategies. An example would be buying a put for covered calls. This is for when the inevitable drop does happen. Or sometimes you’re just plain wrong in predicting the direction of a stock. While the Power Cycle Trading™ model pulls in technical indicators that help decrease the probability of being wrong, there is no holy grail. We’re all human and make mistakes when investing. Why not create a little hedge for those occasions of being wrong, just like the big companies do? If you think about it, it’s pretty amazing that individuals can even do this. A simple example of protecting the covered call position, or hedging, would be to buy a put option at the time the stock is purchased, and when the covered call is sold. Here is why: the value of the put will go UP if and when the value of the stock goes DOWN. At its' most basic form, this option strategy is a type of insurance. Just like your auto liability cost you, it’s worth the premium you pay for it when the inevitable unexpected happens. In the same way, the put option will cost you since you must buy the put, but the protection is often worth it. This is especially true toward the end of strong bull markets. In this example, remember, the value of the call option would go DOWN, allowing you to buy it back cheaper, giving you a profit on the call options. In essence, you get to be right, even when you’re wrong! That is the beauty of option trading strategies. Adding another leg or two to your investing and trading strategies for an added layer of protection is wise. What you don’t lose is as important as what you make. More and more traditional, long-term investors are learning how to trade options so they can use puts to protect their stock portfolios. For this reason, two popular methods I teach are Credit Spreads and Butterfly Spreads. In my virtual trading room, we also enhance the entire options trading process with the Power Cycle Trading™ model to get a better idea of whether the underlying security is more likely to move up, or down. Marrying these powerful tools increases the probability of a more favorable outcome from any investment or trade.